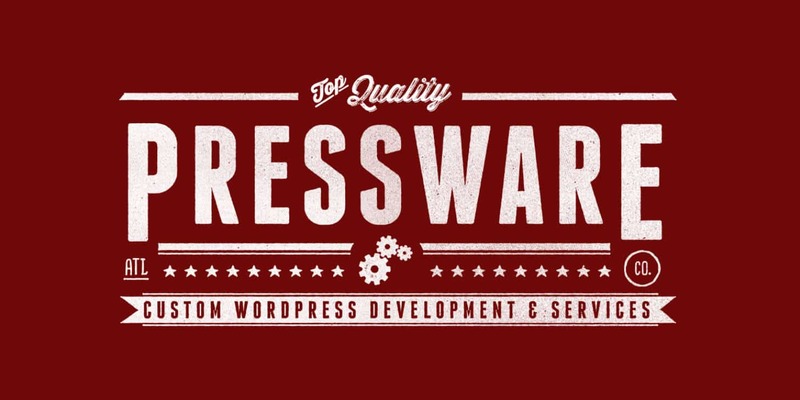 Pressware focuses on delivering high-quality, custom WordPress solutions for small businesses and individuals. Pressware focuses on delivering high-quality, custom WordPress solutions for small businesses and individuals. Though we are specifically focused on building web applications, custom plugins, and modern software engineering techniques in our work, we look to foster relationships, quality communication, and the personal aspects of the business (rather than the technical details). We’ve been involved with WordPress since 2010 and have made core contributions, produced numerous plugins, developed and productized themes, and we provide an array of open source work in addition to providing education through some of our personal blogs such as tommcfarlin.com. We attempt to provide a tailored experience for our customers through project management and close communication to make sure that the project not only solves your problem, but does so elegantly, efficiently, and is delivered in a timely fashion.